In this day and age, people almost feel obliged to post all their milestones on social media from childbirth, birthdays, anniversaries, engagement, wedding, and even down to someone’s funeral. It’s as if you have live feedback on how a person lives his or her life through your screen. With this wide demand, developers have created various social media platforms with different unique features that people can use. Snapchat and its unique 24-hour photo and video expiry allow people to update their friends and followers about certain events on a daily basis. The app has been used to post and save images and videos during an event. 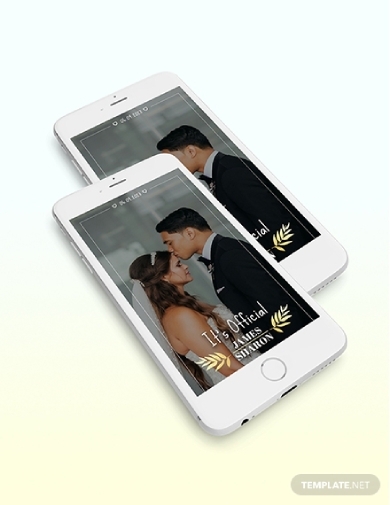 It is even used to publicize weddings; couples usually have a Snapchat filter custom-made for their special day. Aside from posting exciting and fun times on the app, it is also a good way to keep memories you can cherish for a long time. 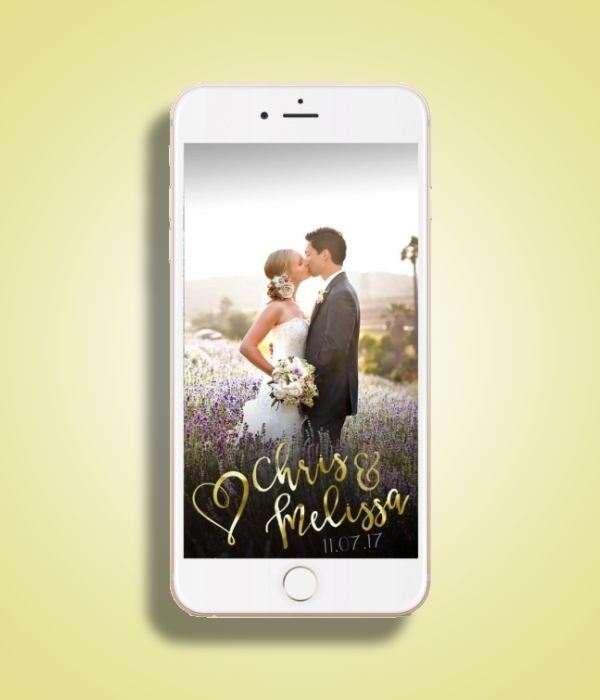 Make the world know you’re officially married to the love of your life with the use of a beautifully made Snapchat wedding filter. If you are looking for a template for this, you can download this one and easily edit to incorporate you and your husband’s name. Aside from your official wedding hashtag, this is a fun addition to your wedding social media package. This template features a simple yet beautiful design, a classy layout, and cute font styles. This will surely impress your guests and make them even more excited about the wedding itself. Other than simple fonts and basic layout you can amp up your wedding filter by using a cartoon image of you and your partner. This type of Snapchat filter is only fitting for a fun and outgoing couple. Looking at this example, you can see how the cartoon image of the couple exhibits fun and cool personality while maintaining an elegant feel with the help of the font style and color. 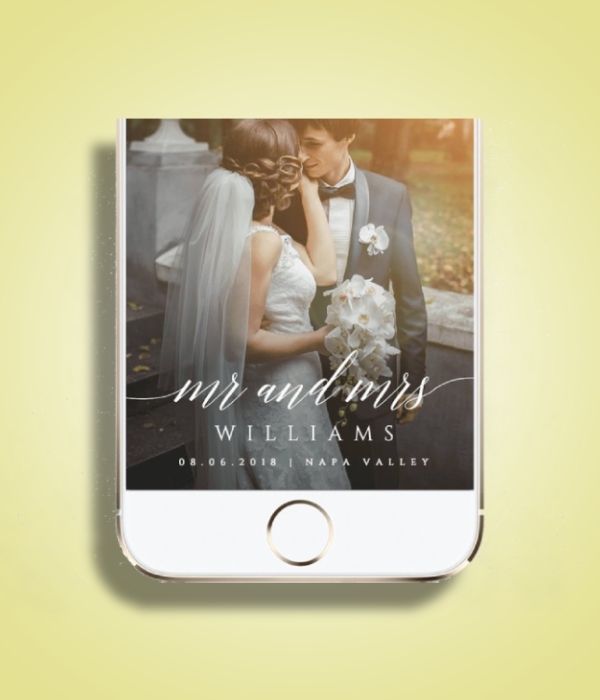 This wedding Snapchat filter example is a perfect guide to use when you want to achieve a fun but classy vibes with your wedding filter. Although it is totally acceptable to go over-the-top with every material and decoration for your wedding, you can always stick to a simple overall theme. This also means that the Snapchat filter you use, if you’ll use one, for your wedding is simple. You can stick with intricate calligraphy of your and your partner’s name or even just a basic font style. Looking at this example, you can easily see how the simplicity of the filter exudes rustic and classy vibes. If you would like to have your Snapchat filter like this, you can use this example as a basis when you have yours designed. Make sure that the filter you use embodies you and your partner’s personality or the overall theme of your wedding. Social media has created a construct for almost anything a person can do. But more than that, it has also given countless inspirational ideas one can follow when organizing events and celebrations. For example, as you scroll through Pinterest, countless boards are made especially for various wedding themes; this is also true for Instagram. With that said, you can take inspiration on what design and layout you should use for your wedding Snapchat filter from different social media platforms. You can also search for articles and examples similar to this one. In the last couple of years, geometric lines have been used in countless designs in graphics, infrastructures, and so on. If you are a fan of using sleek lines to emphasize specific contents, then using a geometric theme for your designs is the best option for you. With this in mind, you can use this Snapchat filter example as your guide when you get your wedding filter designed. The geometric hexagon design adorned with dainty flowers allows you to emphasize the details of your wedding. Aside from that, it looks sleek and clean on the screen giving off a minimalist-chic vibe to the guest and Snapchat story viewers. 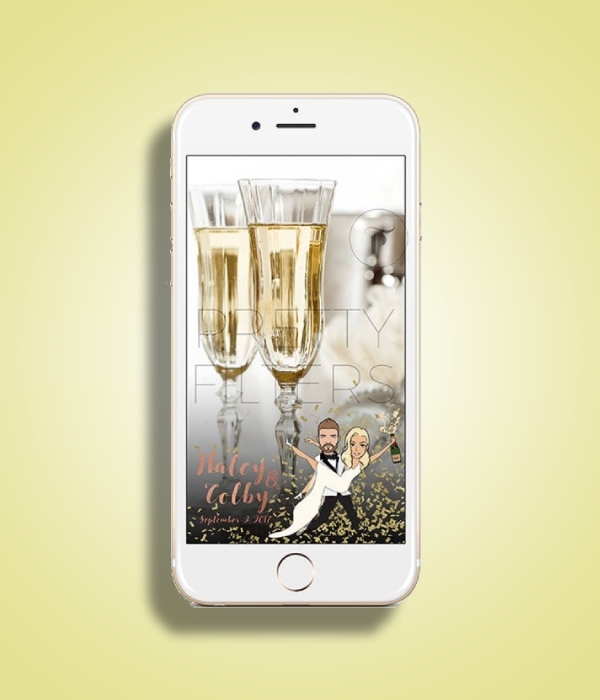 If you and your partner are great fans to the classic Great Gatsby book and/or movie, this one is the perfect wedding Snapchat filter for you. 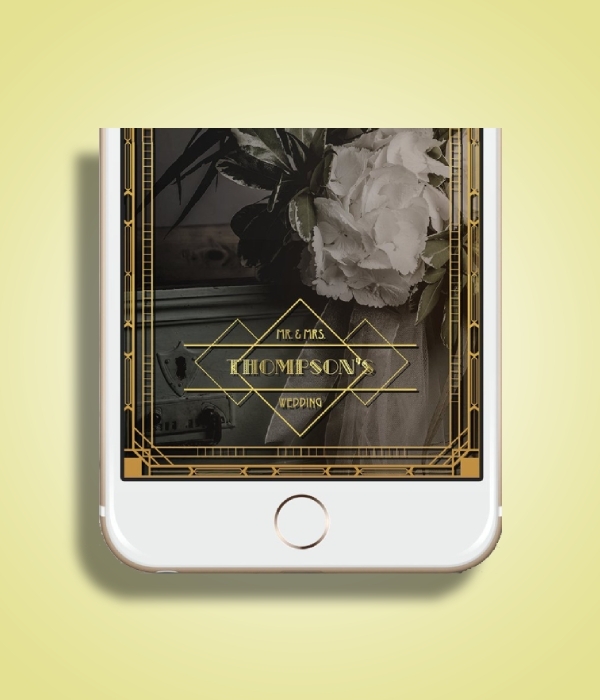 Using a filter designed similar to this will allow you to be consistent with your theme, given that the color palette, decorations, and overall theme you use is Great Gatsby. It exudes the extravagant vibes of the said film with the use of golden lines and font styles. Aside from that, it has also used a border that uses the shapes and silhouette used in the film which makes it even more consistent. 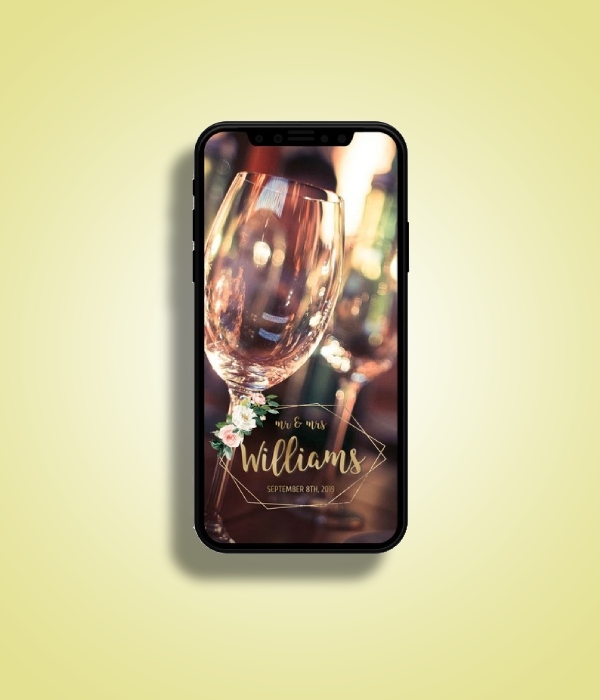 A simple Snapchat filter custom-made for your wedding can look extravagant when the right font style and colors are used. Looking at this example, you can see how the simple yet elegant strokes of the font style make the filter look classy and chic. This filter will surely be a great addition to the images and videos you and your guests post during your wedding day. 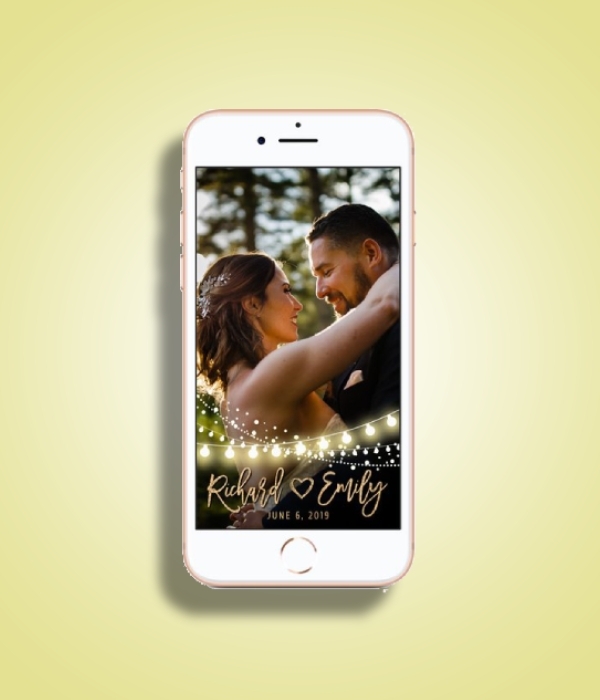 If you would like your wedding Snapchat filter to look like this, you can let your designer see this example and design something similar for you. As much you want to invest in a social media filter and hashtag, it is still best to live in the moment especially during such a special day. But should you still prefer to do so, you can download the templates provided in this article and edit them to suit your preferences.